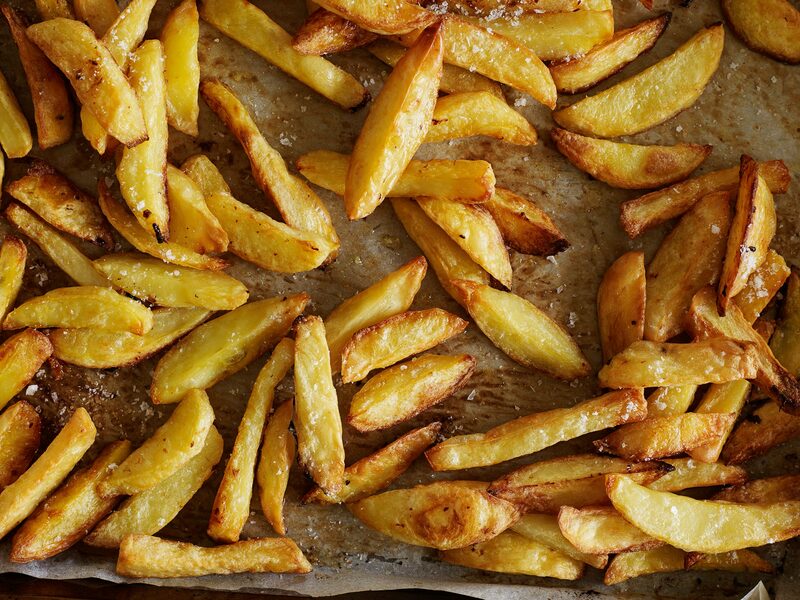 While you can make these with new potatoes, they are so much better with fluffy-textured spuds. Get on to them! 1 Preheat oven to 200°C (400°F). Peel potatoes and cut into fat fingers. Transfer to a shallow roasting tin lined with baking (parchment) paper. Drizzle with oil, then use the paper to turn the potatoes carefully so all the potato pieces get coated with oil. Pour the wine over the potatoes, then season with salt and dot with butter. 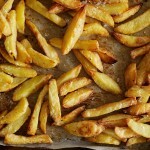 2 Bake for 1¼-1½ hours, turning carefully 2-3 times during cooking, or until potatoes are golden and crisp. Eat up! ... so much you can do with them. Woo-hoo! Time to get off the couch and get cooking!